The Hawks were out for revenge against Waterloo after they were upset by the Warriors earlier this month. 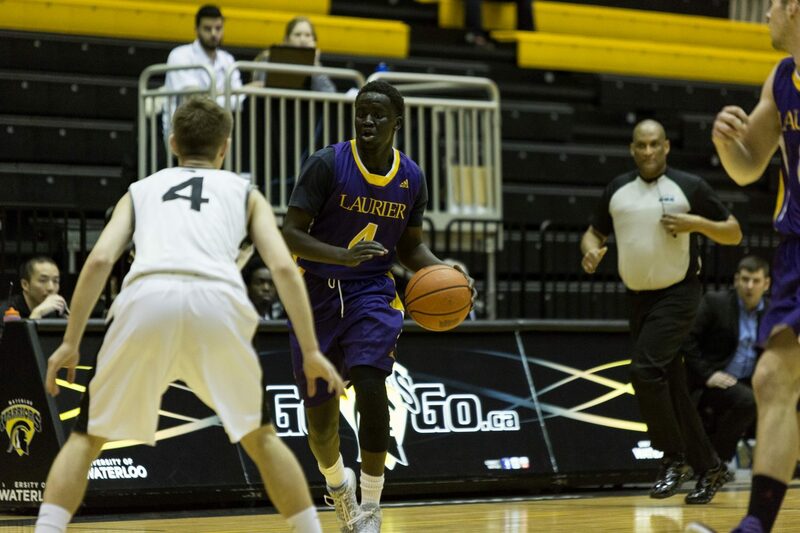 Laurier responded well in the rematch and ended up winning by a final score of 82-75. The Hawks have now won two straight games and seemed to have found their rhythm after a rocky stretch at the start of 2017, where they lost three consecutive games. Head coach Justin Serresse discussed what he liked and didn’t like against the Warriors. “Our offence has been a positive, recently. We have been sharing the ball extremely well. It was a big exercise after the game against Waterloo at home, where we were extremely selfish,” he said. The Hawks put on a playmaking clinic and the new philosophy of sharing the ball on offence seems to have lit a fire in them. Their offence has looked unstoppable during this 3-game win streak. Some inconsistency has to be expected with this team as there are numerous first-year players who play major minutes. “Happiness is dependent on the expectations. Losing three in a row against top 10 teams, it’s not something that I am going to be depressed about. We are looking at the big picture and we’re looking at how we’re playing,” Serresse said. Although the Hawks offence has been fun to watch the entire season, the same cannot be said about their defence. The Hawks have lost their best rebounder Nicholas Broady due to injury and this has dented a hole in their overall effort on defence, especially inside the paint. “Our defence is something that I’ve been really upset about. We lost a key rebounder with Nicholas Broady breaking his hand and this has been an issue for us in 2017,” Serresse said. Starting guard Tevaun Kokko has been a bright spot throughout the season. He is averaging 19.1 points per game, making him third in scoring in the OUA. Kokko is just one of the key first players for the Hawks. With how well the rookies are playing, it looks like the ceiling is unlimited for this team. Serresse mentioned that it is going to take more than just talent for these guys to fulfill their potential. “It’s going to be interesting to see how those guys grow. I find that year two is always the hardest. You have to adjust every single game. You’re going to get scouted, the opposing team will know what you want to do,” Serresse said. This is an exciting time for Hawks fans, as Laurier is now tied for first in the OUA West division with a record of 8-8. With the season winding down, every game is a must-win and the room for error is minimal. Next up for the Golden Hawks is Brock University, where they take on the Badgers next on Saturday, Feb. 4.